Wilson's curriculum in biology provides thorough and intensive course work in both theoretical and applied aspects of biological science. 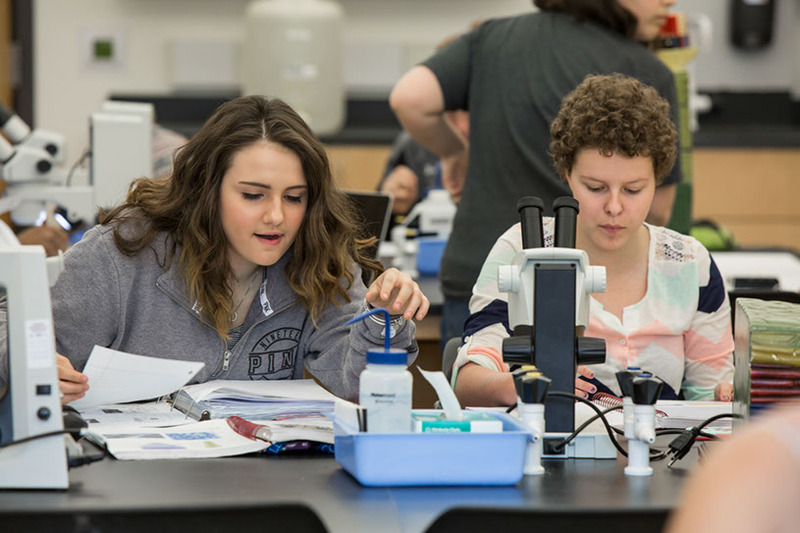 The science of biology is taught within the larger context of a liberal arts education and every effort is made to encourage interdisciplinary connections with the social sciences and the humanities. Courses strongly emphasize writing and speaking skills and avoid reducing science to the accumulation of factual knowledge. Majors are encouraged to pursue summer internships in field and laboratory settings. Active participation by the students in laboratory and field courses is required and direct experience with living organisms and scientific instrumentation is a central focus of the program. An undergraduate degree in biology offers a variety of career options, including technical positions in business and medicine. Many graduates earn advanced degrees in medical and veterinary schools or do graduate research in such fields as biochemistry and ecology. Students with expertise in genetics, physiology, and environmental science are increasingly in demand in business and government. Undergraduate work in the sciences provides the student with skills in research and the clarity of thought and communication essential for success in the contemporary world.